Fresh strawberries cooked with agave get folded into Greek yogurt and whipped topping to create pretty swirls of fruit and cream. Serving this in a clear glass cup or champagne flute allows the pretty ribbons of red and white to show through. For those of you that may be unfamiliar with a fool, a fool is a quick and easy dessert that is made with fresh fruit that has been simmered with sugar and folded with fresh whipped cream. 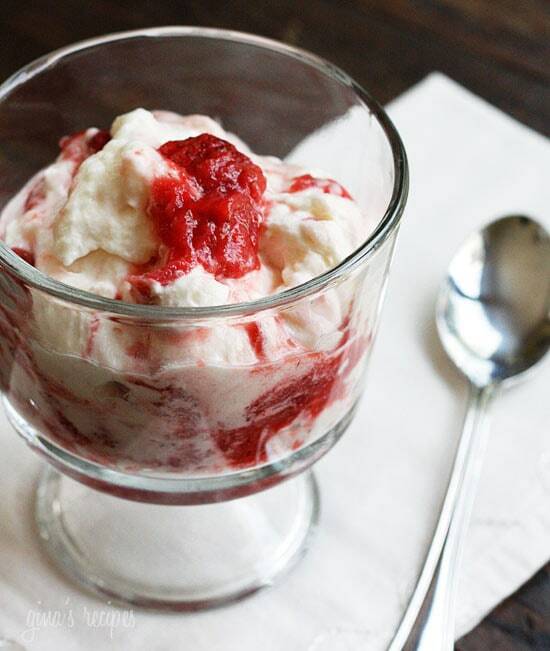 This skinny version tastes just as good as the full fat version, making it a perfect summer treat. 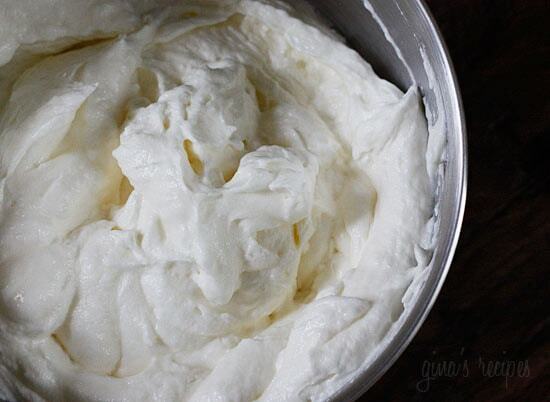 I have yet to figure out how to make a low fat whipped cream from scratch, but I recently found an all natural whipped topping at my organic market called truwhip. It contains neither high fructose corn syrup nor hydrogenated oil, and is delicious! Their website has a store finder so you can locate it at a store near you. If you prefer to use Cool Whip Free, I’ve given you the nutritional info for that as well for you to decide. 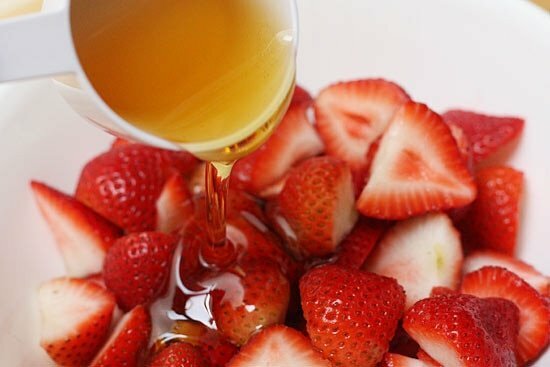 Combine the strawberries, agave, and salt in a medium bowl and stir until the strawberries are coated in agave. 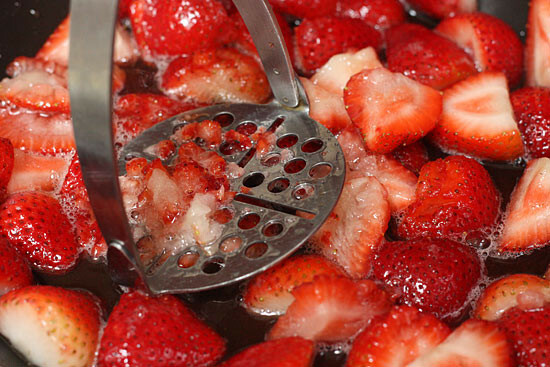 Mash with a potato masher until half of the strawberries are smashed, but some medium sized chunks remain. 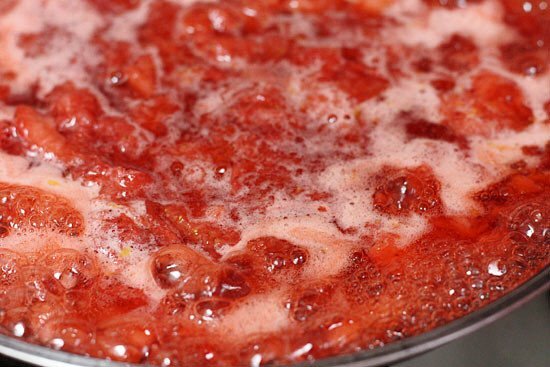 Cook the strawberries over high heat, stirring occasionally, until bubbles form along the edge, about 5 minutes. Skim any foam from the surface with a spoon and discard. 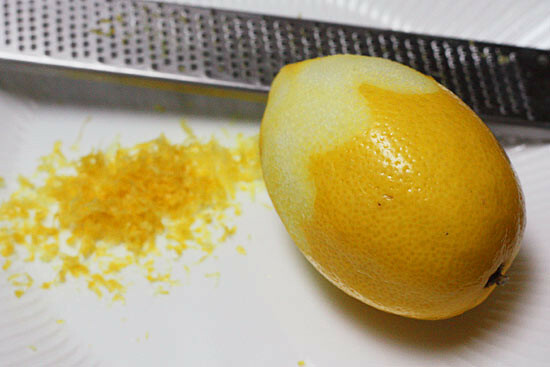 Add the lemon zest and lemon juice, stir to combine and bring to a full boil, about 2 minutes more. Remove from heat, skim foam and discard. Transfer to a container and let it cool to room temperature. Refrigerate until cold, about 30 minutes. 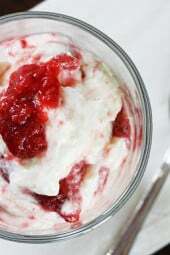 When the strawberry sauce is cooled, gently fold the whipped topping in a large bowl along with the yogurt. Gently fold the strawberry sauce with the whipped cream to create pretty swirls and place in 6 glasses. Sounds delish. If i use splenda instead of agave, about how much should i use? I love this recipe. My only concern is after making it twice already, it gets very runny. So delicious!!! I put a mini biscotti in with mine for a crunch! 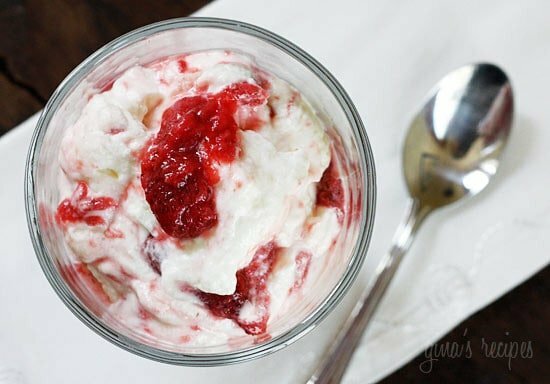 This recipe is delicious, but I track all my calories, and a 10oz container of Truwhip has 50 grams of fat in it (vs. the 16oz stated in the recipe) and this alone divided by six servings is over 8 grams of fat per serving and the calories work out to be about 250 with the 10oz of Truwhip. OK, I just remade this to see where the error is, the container of truwhip should be 8 oz which is how it's calculated. I guess I had a typo so I just fixed it. Whip 1 cup whipping cream. Then add 1/3 cup 1% milk and 1 Tbsp. Ultra Sperse and whip. Repeat the 1% milk/Ultra Sperse 2 more times (total of 1 cup milk and 3 Tbsp. Ultra Sperse). You get real whipping cream, real milk, but with half the fat. Remember that RediWhip commercial with the woman at the diner choosing between apple or cherry pie, decaf or regular, and then oil or cream for her whipped topping? This is cream, not oil. I was wondering if I could make this ahead of time for some company I have coming to visit? I like to get as much done as possible so that I can hang out with my guest. You could make the fruit ahead of time, then put it together the day you want to eat it. I'm so happy you all like it! 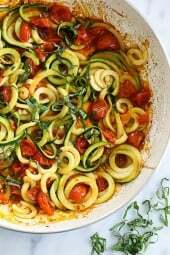 Made this tonight and again another Skinny Taste recipe that is a hit with the entire family. Everyone, even the kids ate it up and asked for more. Thanks for all the awesome recipes! I made this last night and it was so good!! Everyone enjoyed it, Thank you so much. This looks really delicious. I can't wait to try it with frozen berries. All I can say is my brother is THE PICKIEST person ever and he could not get enough of this great job! I just made this. I added blueberries and had a little taste and it is SO good! I'm waiting on the fruit to cool so I can fold it into the whip cream. I can't wait to try it all together! Thanks for the awesome recipe! We made this last night and it was SO GOOD! I had more than i should, but it was so worth it! Thanks for such a yummy dessert recipe! Immersion blenders are supposed to be excellent for making your own fat-free whipped cream. I have not tried it, but have seen it done in narrow vessels like cups. I've never tried truwhip. The store locator on the link was helpful though. I'll have to keep an eye out for it. This definitely looks delicious. I bet mint would be great! Yes, this is wonderful and light. You could easily make half of the recipe for 3 servings. Wow, those photos are gorgeous, look so delicious! I wish I saw recipes like this before I threw out all my extra strawberries! This looks delicious! Such a perfect and refreshing dessert. Looks so good! guilt free indulgence! This looks divine! The agave is perfect for lightening it up! Thanks! Aww yum! This sounds delightful! Love this! 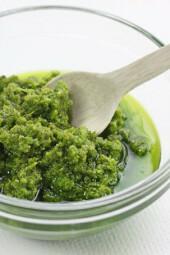 Would this keep in the fridge after blending or would it be better to reduce the recipe and only make a couple of servings at a time if it's for two? What a pretty dish! My husband is on notice to buy me a set of mini trifle cups next time he has to buy me something – this would look so pretty in those! Or even a margarita glass rimmed with pink sugar and a strawberry hanging over the side. Neat! 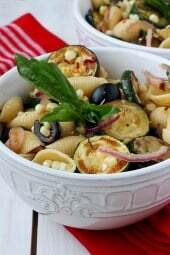 just found your website from my sis and I love every recipe I've tried! Yes I buy that truwhip, just found it about a month ago at my market in mass(market basket)! Thanks for giving me a fresh new exciting healthy way to cook, I'm not bored anymore! Yum! I will definitely remember this in the future for dessert when I have guests over. This looks sooo good. I keep looking at agave nector and wondering if it would be worth getting. It looks like I need to go pick up some. Thanks for all of your recipes. I have really been enjoying them and have passed several on. Yummy! It looks great. I'm so glad I came across your website.